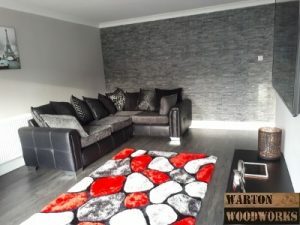 Warton Woodworks has put together a top 10 list of house interior design ideas. These ideas are based on the many homes we have helped design, build and renovate. Be your own interior designer and learn how to give your home more flare and sophistication. Our house interior design ideas are an inexpensive way to transform your home. Can people see your entrance in the dark? You could have a beautiful house in the daytime, but at night it may look dark and uninviting. 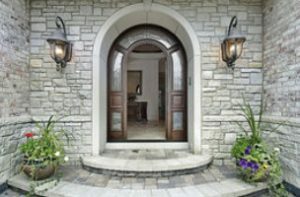 Install modern lighting to illuminate your entrance at night. But be careful not to make the lighting too bright, which may overwhelm your visitors. Down-lights are great if you have an open porch. Up-lights are great for highlighting certain architectural features on a house such as columns or shallow recesses. 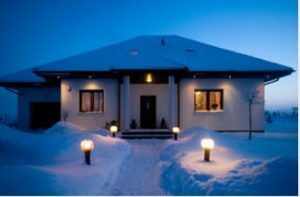 If the pathway leading to your front entrance is not illuminated well at night, you may want to consider installing solar post lights. Not only does this improve visibility, but also safety for you visitors. There are many designs of door number out there, some which you can create yourself. 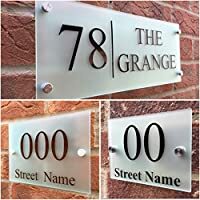 Door numbers are usually attached to a material of your choice such as slate, glass or stainless steel. Some are also LED illuminated so new visitors can easily locate your home in the dark, plus it looks impressive. 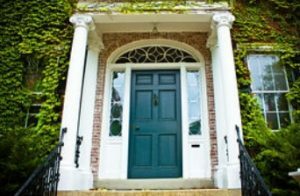 It is important to select the correct type of door for your property. If you can afford it, we recommend composite doors as there is plenty of choices regarding design. They also offer more insulation and security over uPVC doors. 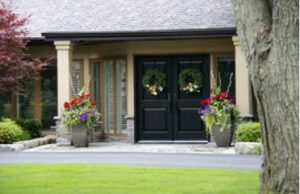 Creating architectural features around your front door provides an excellent focal point for visitors. 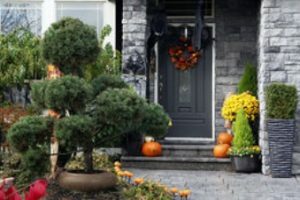 Decorate your front entrance with exotic plants. We recommend impressive looking potted plants. Many people paint their whole room using a single neutral colour, such as white, beige or cream when decorating. To make these neutral colours more exciting and elegant you could paint walls different shades of neutral. For example, one wall could be a dark brown, whilst the other three are a lighter brown colour. The darker brown wall creates a focal point in the room, also known as a feature wall. Wall paper can also be used to achieve a difference in shade, whilst also adding a pattern. 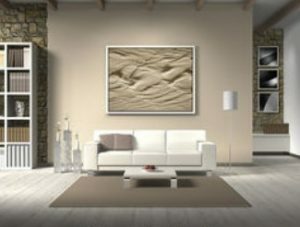 The great thing about a neutral decor is that it is easy to match with furniture and accessories such as wall art. 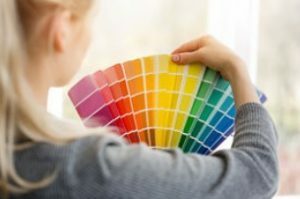 Some of your rooms could use more vibrant colours such as oranges, golds and reds. For example, you could paint your kitchen a salsa red, then compliment the colour with framed artwork of a lighter, more neutral colour. Creating a visual contrast between different colours is sure to make a long-lasting impression on your visitors. Draw a bird’s eye view layout of your living room to scale. You can then see how objects such as furniture and sofa’s fit into the space by drawing them in various locations. After a few attempts you will begin to realise the layout that looks right. Many people have living room layouts that are not ideal. Living room layouts are usually defined by electrical connections such as plug and TV/Cable sockets. The living room is a popular space for entertaining guests and hosting parties. Therefore, it is important to ensure people can easily move around (or even dance) in your living room space. Tables for tea, coffee, etc are best located adjacent to your sofa’s. 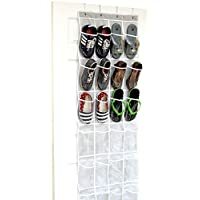 Only have them in front of your sofa if your living room is relatively large. 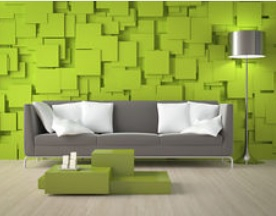 You may want to consider having a feature wall in your living room. For example, wall papering around a fireplace to create a focus point. Then painting the remaining walls in that room. good wall paper around it, whilst having the other walls painted. Feature walls don’t always need to be wall papered or painted a different colour, it could show of a large mirror or piece of wall art. 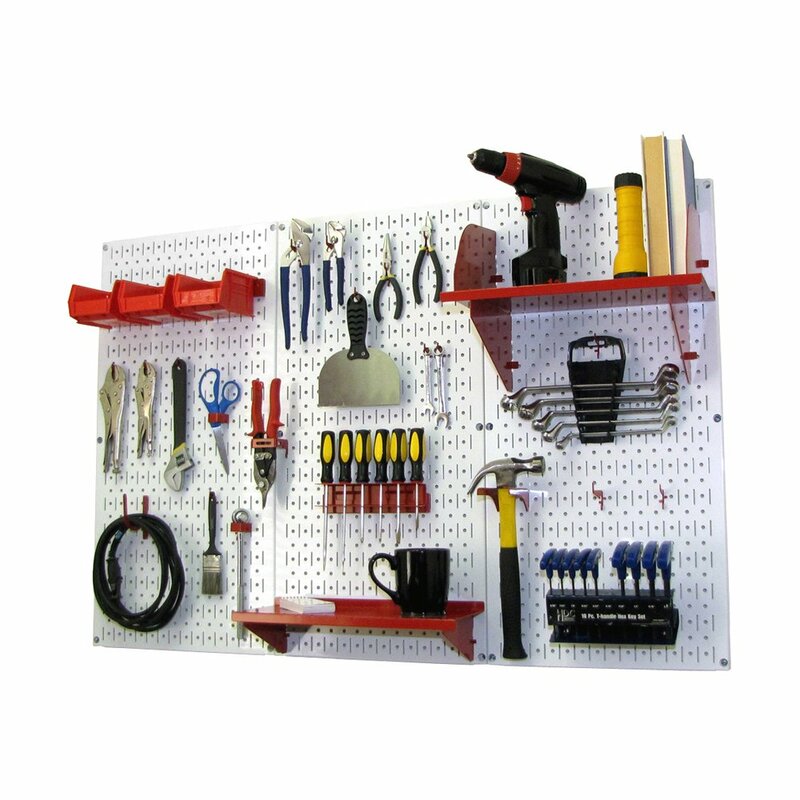 Or you can create something unique, like the wall in the image below. 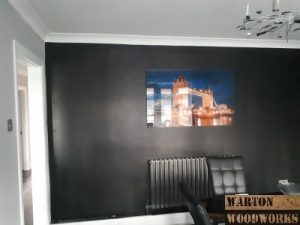 Click here to read about more feature wall ideas, such as how to install a slate looking PVC feature wall. Before buying any furniture for your living room, it is a good idea to measure it first. The smaller your furniture is, the more options of arrangement you will have, this also applies to sofa’s. 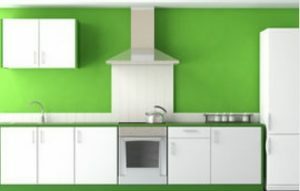 Changing a kitchen is one of the most popular house interior design ideas. Kitchens are the most important and used room in the home. This room has many functions such as preparing food and drink. When hosting a party, people usually gather in the kitchen. Below are some kitchen interior design ideas that can help you design an efficient, impressive kitchen. Kitchens that are minimalist are stylish, clean and sophisticated. A clutter free kitchen not only looks great, it always makes using it very efficient. 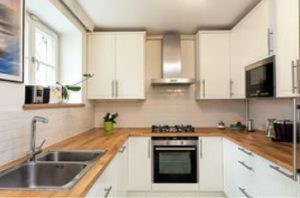 Single and double galley kitchens: Have only one or two continuous runs of cabinets. L-shaped kitchens: Are built into a corner, providing optimum counter space. 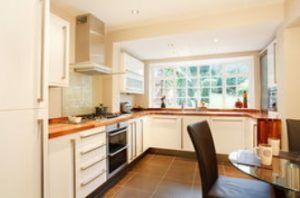 U-shaped kitchens: Usually have the sink, fridge and oven in a triangle pattern, meaning the cook is surrounded by three counters so everything is within easy reach. Island kitchens: Are most ideal for large kitchen areas. Kitchen islands can also double up as a table, making it an ideal place to eat and drink at using bar stools. Or maybe you prefer to use it for extra food preparation space or storage for wine. Have you ever walked into a hotel or a bar being impressed with the lighting? There is no reason why you cannot achieve the same cosy warm effect at home. We realise there are many lighting options to choose from, which is why we have listed some lighting house interior design ideas for specific rooms. Downlights are great for lighting kitchen spaces as they are directly pointed at the counter tops. When installing downlights, it’s important to separate them apart so the room is illuminated evenly. For that extra wow factor, under cabinet and skirting lighting could be installed. We recommend warm white for downlights and a vibrant colour for under cabinets and on skirting. 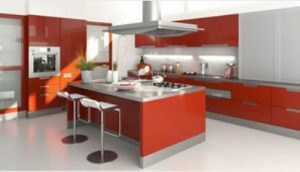 The vibrant colour you choose would need to match your overall kitchen decor such as red, blue, green, etc. To help create that warm cosy feeling you need sources of dim lighting. 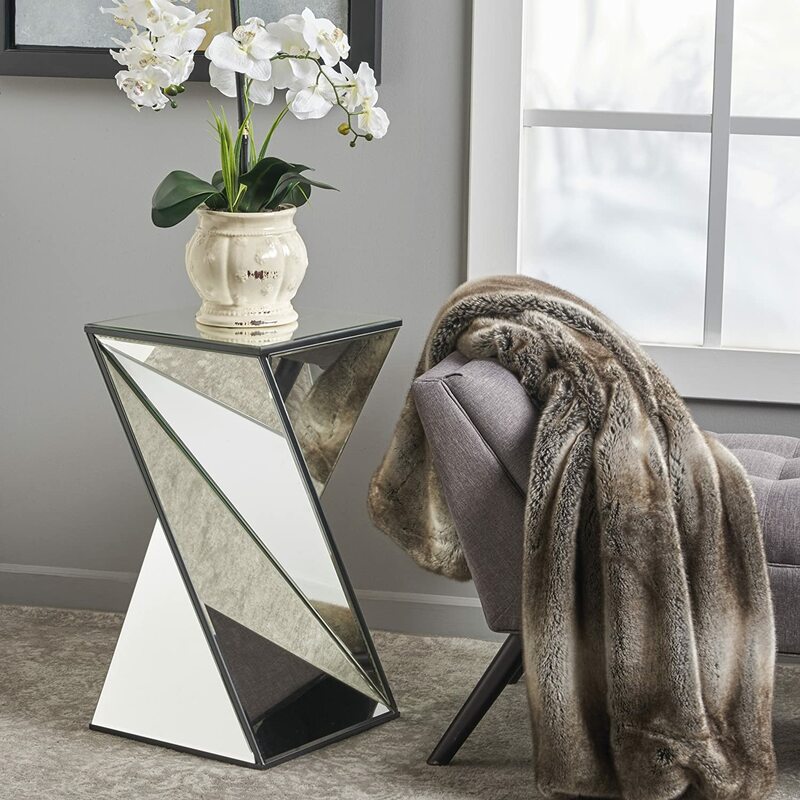 Modern looking table, floor and wall lamps are perfect for this. It is also a good idea to install some ceiling downlights too for occasions when more brightness is needed. Thinking of house interior design ideas is not only limited to paint schemes and furniture layout. 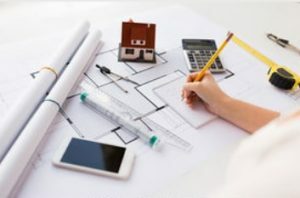 It is important to consider all aspects of interior design, even your internet connectivity! 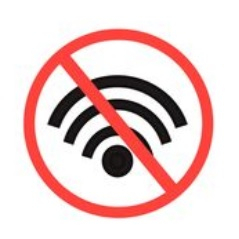 Some houses have Wi-Fi dead zones that prevent users from accessing the internet, or it becomes frustratingly slow. Such issues are usually caused by thick walls or complicated setups. Below are some things you can do to help prevent patchy coverage, meaning you can watch Netflix or listen to music anywhere in your home! Wireless boosters are special boxes that are placed away from your router. Their purpose is to create a separate signal away from your router, allowing Wi-Fi signals to fill dead zones within your home. They work by receiving a signal from your router, then re-transmitting it on the same channel, at the same time. A wireless booster box only requires a power connection. You can also connect your router to it via an Ethernet connection, which would then output the strongest signal possible. Although wireless is the modern and convenient way of connecting devices, it does have its downfalls. If your wireless has become very unreliable you may want to considered installing a wired network. 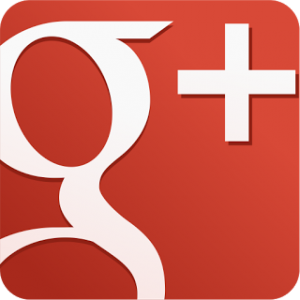 Click here to read an article about wired network design ideas. Wall art is another decorating accessory that helps to add personality to your home. 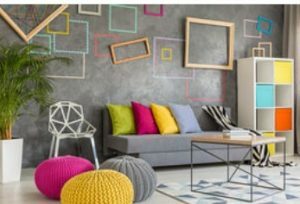 Usually people match the wall art to the decor, but we recommend you carefully consider the type of wall art you will have before implementing your house interior design ideas. If you are clever with your wall art you can create stunning house interior design ideas that are sure to impress visitors. 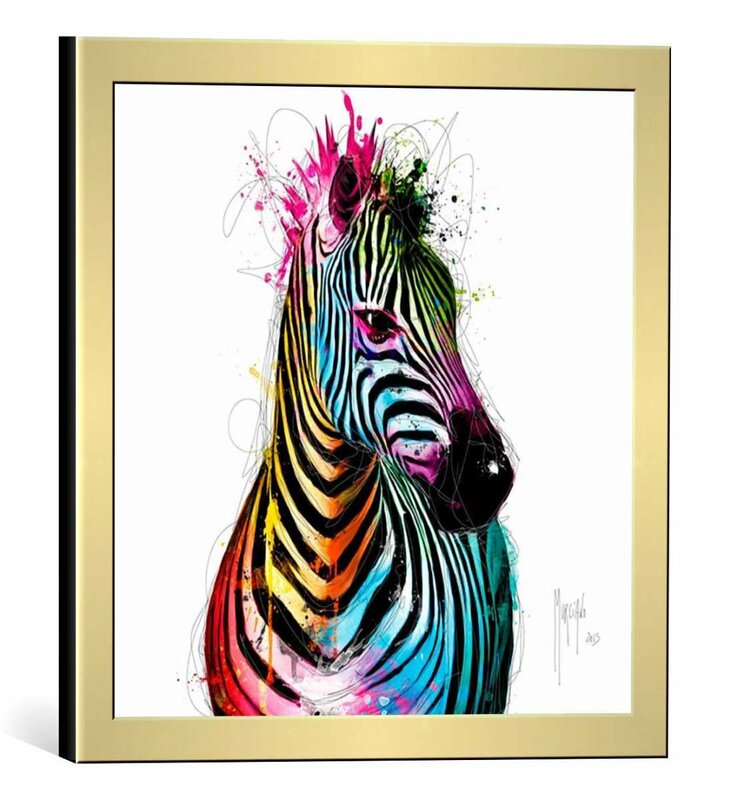 When choosing wall art, go for something colourful like the Zebra wall art below. Colourful images like this looks great on grey, black and white walls. Smaller rooms can appear larger when mirrors are present. 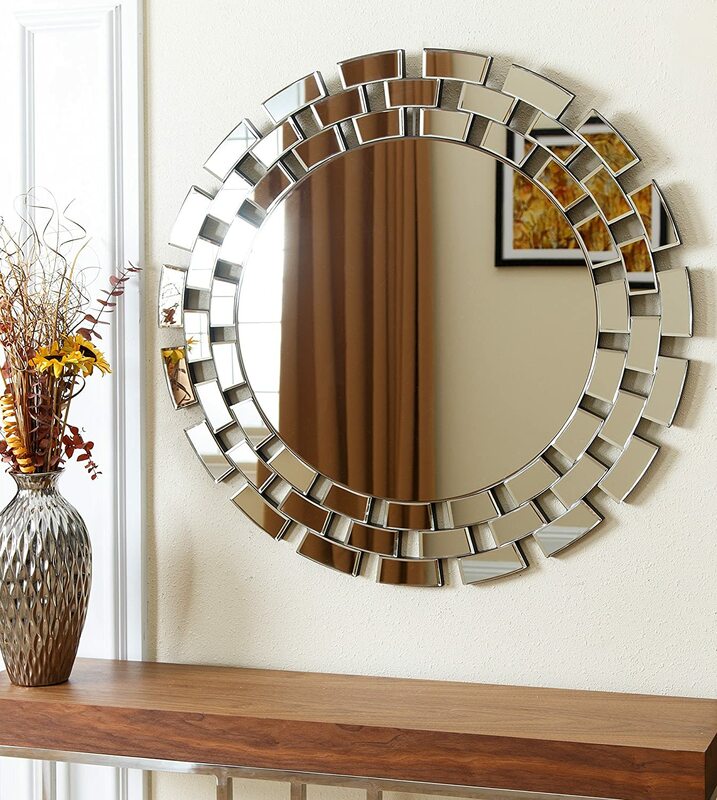 Mirrors come in all varieties of shapes and sizes. 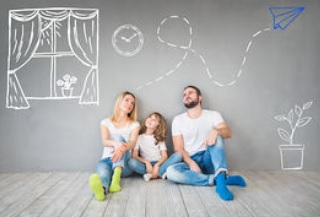 When buying a home, it is hard to have everything you want, such as a large drive, large garden, enough bedrooms or sufficient space. This is because people have to compromise between major household needs and their budget. 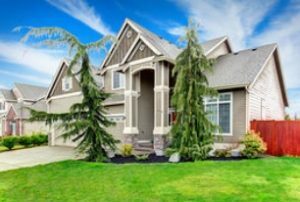 Homes with a bad layout may not be obvious at first, but then comes to light when people move in. 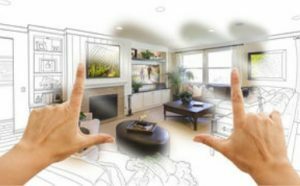 Sometimes the best way to correct annoying or bad house layouts is to modify the structure, such as walls to create the house interior designs you want. 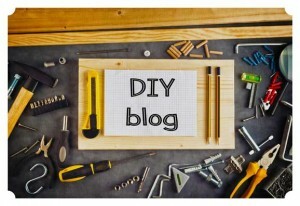 Did you enjoy this house interior designs article? Please feel free to share it using the social media buttons below.